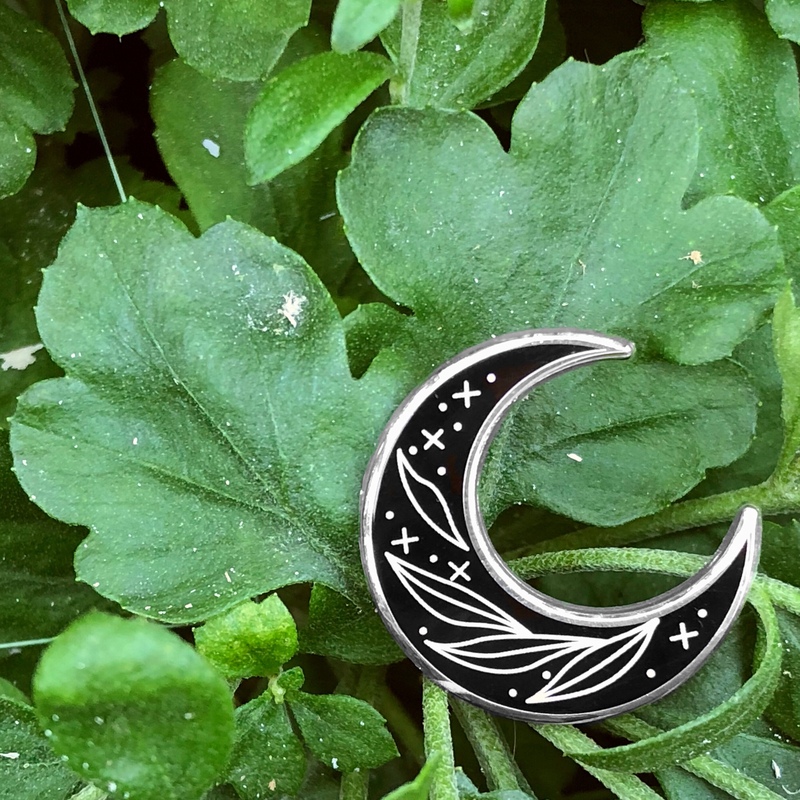 This is a 1” hard enamel pin in silver colored metal and black hard enamel. It has white screen printed details. This pin matches our bat and witch hat pins.